Drums Alive® joins the dynamic movements of aerobic dance with the pulsating rhythms of the drum. It is a unique sensory/motor program that is designed to give the mind and body instant feedback through continuous movement and rhythmical flow. 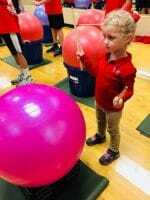 It is a program that utilizes “whole brain – whole body” thinking by developing sensory motor reflexes and kinesthetic awareness. The physiological and psychological benefits are numerous including those found in traditional forms of aerobic fitness. Drumming has also been found to improve and increase the neurological connection between the 2 brain hemispheres, stimulating Alpha brain wave activity which can lead to higher levels of concentration, sensory/motor improvement, and an overall sense of well being. 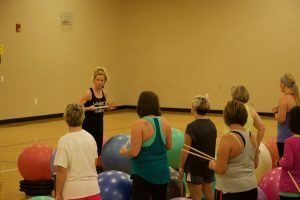 Theresa is a Certified Instructor for Drums Alive, a program using rhythm as the source of inspiration to discover a new group fitness experience. 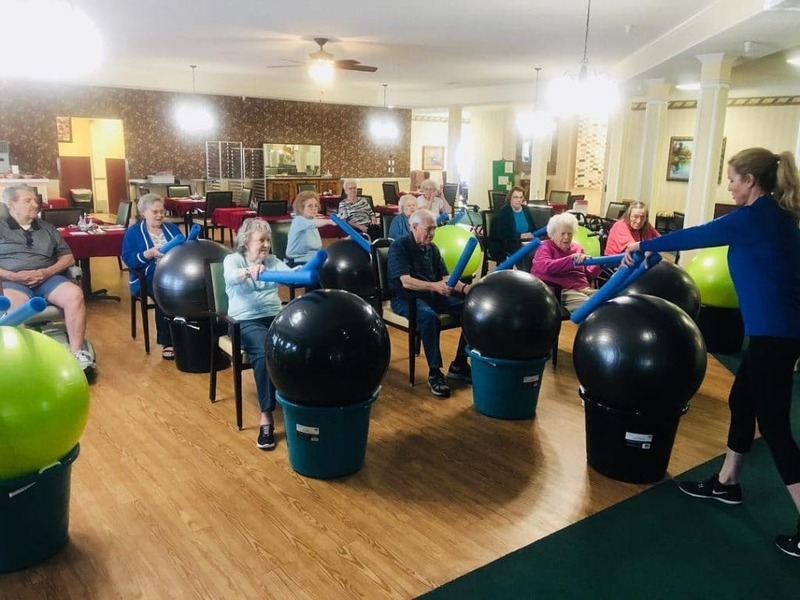 Drums Alive combines the benefit of a traditional physical fitness program with the brain-affected benefits of music and rhythm. or schedule a Drums Alive Party for your school, workplace, or organization! In 2010 Drums Alive® took part in a scientific study THE DRUM BEAT Chemnitz Drumming Project a worldwide, unique research project that was created to answer scientific questions as well as derive and evaluate social and medical measures using the characteristics of drumming and movement. The Drum Beat was inspired by a research project of the University of Gloucestershire and University of Chichester, titled the “Clem Burke Drumming Project” where for the first time worldwide investigations on the physical demands of drumming/percussion were established. The Chemnitz University of Technology [CUT] was invited to participate in this collaborative research thus extending the research focus by using cognitive parameters alongside many others. The Drum Beat strives to investigate the broader application of drumming, movement and exercise with an interdisciplinary team of scientists, musicians, teachers, physicians, therapists and communal authorities. The teams are working towards establishing interventions and structures to provide positive effects using the common language of drumming and movement. Drums Alive®, the first fitness trend that combines drumming and movement through a multi-modular approach was identified as one of the key interventions of study for its practicality and holistic approach. The Drum Beat is investigating and applying all aspects of drumming in one inter-disciplinary project to benefit of society in the context of physical and mental health, social challenges, inter- cultural aspects, music and education. 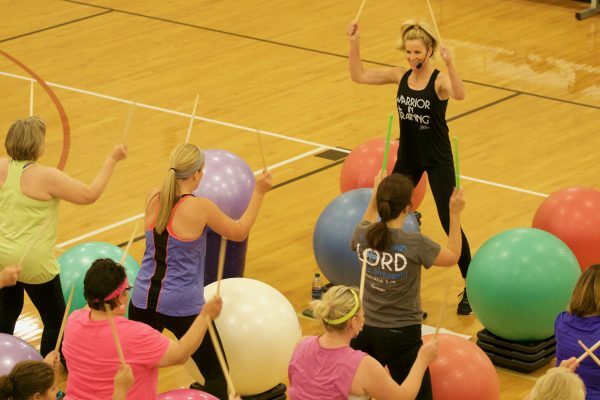 Drums Alive has fitness programs for everyone and anyone! There’s Power Beats for teens and adults, Kids Beats for children (from ages 3 to 103! ), and Golden Beats for the senior or less active population. Kids Beats is simply FUN! Every child was born with the ability to move and feel rhythm. This unique workout will guide you through a program of drumming, movement and creative exploration that thrills not only the child but the teachers as well. It is a powerful tool to integrate into all classrooms, recreation centers ,and fitness studios. Children and adults of all ages will enjoy this Whole Body-Whole Mind workout extravaganza! 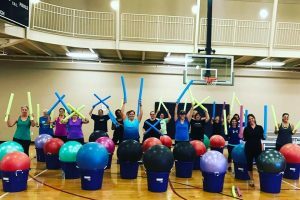 Drums Alive® and Carrie Ekins (founder) have been recognized by some of the leading fitness and wellness associations and continues to reach new markets in schools and therapy institutes. Drums Alive® has been featured on local and national television around the world. Carrie has been interviewed on radio where she discussed her breakthrough Brain Fitness Programs, solidifying her place on the forefront of brain fitness and the fitness industry.